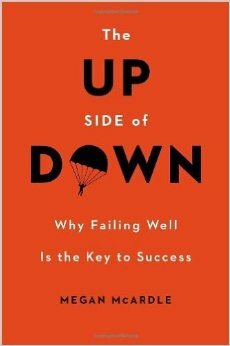 I recently heard about an interesting new book—The Up Side of Down: Why Failing Well Is the Key to Success by Megan McArdle. A part of McArdle’s book analyzes research into why some people thrive on challenging tasks even though they don’t do them well. Other people hate those situations. Why? I want people to tackle challenges at the School even though sometimes they will do them poorly, and sometime even fail. We should embrace difficult situations because they are an opportunity to learn and grow. How can we support people who have a growth mind-set? How can we encourage those with a fixed mind-set to push beyond their comfort zone and embrace challenges that might advance the School’s work? Part of the answer has to involve creating a culture at the School that supports and rewards people who take risks and have “smart failures.” In other words, encourage people who do their best and take calculated chances—even if for some reason things don’t work out as planned. Maybe someone designs a course in a new way that crashes and burns when it is delivered, or a person delivers information electronically in a way that public officials are not yet prepared to embrace. Folks should learn from their efforts and move forward—without worrying that their colleagues might criticize them for not having done it perfectly. A few years ago I created Friends of the Institute committees across regions of the state to support our fundraising efforts. It required lots of time and energy to manage the groups and, unfortunately, they didn’t raise much money. The people enjoyed getting together, but most of them were uncomfortable with fundraising. It was a worthwhile experiment that taught me a lot about what would not work in our fundraising. The experience also pointed us toward a more strategic and targeted approach for involving selected public officials in raising money. Plus I learned that I would never again sponsor a golf tournament. Ever. We can improve in terms of creating a culture at the School that embraces risk and accepts occasional failures. We live in a world that increasingly expects perfection and has little patience when someone falls short. That is especially true in higher education. At the School we expect people to figure out every possible contingency before they try something new. The way we evaluate proposed projects may inadvertently send a strong signal that you always need to get things right on the first try. Faculty and staff still show a remarkable willingness to experiment with new approaches around what we do and how we do it. It should not require unusual courage to take smart risks in our work. Lives are not at stake. I want to continue strengthening the culture of innovation and creativity at the School. Please share any ideas you might have about how to make it happen. In the meantime, I plan to look for ideas by reading The Up Side of Down: Why Failing Well Is the Key to Success . How to Get a Job at Google? Remember hockey legend Wayne Gretzky’s quote: “You miss 100% of the shots you don’t take.” That quote is posted in Aretha Powe’s office now. 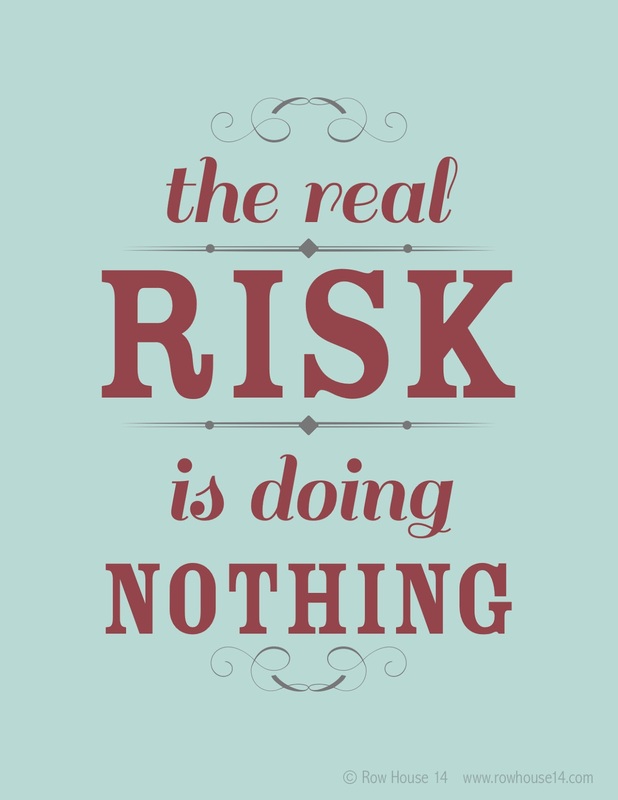 I expect there are lots of examples of risk-taking that slip under the radar at the School because we are not consistently or publicly recognizing them as worthy endeavors regardless of outcomes. If we develop a consistent way to publicize these efforts, the attention may inspire others to take risks and make people more comfortable with taking chances. If we could routinely answer the question, “What’s the worst that can happen?” with “I’ll fail but it will be okay,” then I believe we’ll be more willing to take a leap into the unknown. Nice idea, Katrina. Maura had a similar idea that she will raise with the awards committee. Thanks for posting. Mike – two moods, or “faces” from me about your invite for reaction to A Culture That Supports Smart Failures. I hope that you’ll post both. A. Failure is failure – there is always some cost, as noted below. It seems it is only “smart” if it is approached more like an experiment, with plenty of “padding” to prevent much harm. But in that case, there really is not much risk. B.	SOG has a strong Lawyerly Culture. The focus is careful research and attention to the downside. Given this deep history, I’m not sure much can change in that regard. Thus, it will be a strong deterrent to risk-taking. C.	UNC as a whole is under the microscope, with skepticism of the value/need for high public investment by some state legislators. This is a constraining factor for risk-taking. 2. Information delivery that does not go well can hurt an individual’s reputation. The risk to try something that can result in the feeling of “wasted time” when faculty already feel pressed to be effective and efficient is a great constraint. E.	Failure and “relatively easy” recovery calls for less review, less committees and a simpler system of “I want to try A to accomplish goals X, Y – then DO IT – and ASSESS” – As Mike identified, this is not the SOG system. I would like to see other colleagues’ thinking, but focusing on some hard realities is an important component for this conversation. a)	Bring in Dr. Michele Berger for session/s with SOG folks in small group settings, RE; creativity and risk. Michele is one of the PELA instructors and several of us know her work. b)	Your story about the Friends of the Institute committees and the “failure” to raise funds is a good one. What is another example of a risk that you or other upper management took? It always helps to have illustrations of what counts as a smart failure from the leaders of the SOG. o	I want people to tackle challenges at the School – what are those challenges? o	Encourage people who do their best and take calculated chances – can you please illustrate a couple of those calculated challenges that did not go well and that the people involved felt they were not burned, or that they easily recovered from the “bumps of failure”? Forgive my delay in approving your comments, John. They are responsive and thoughtful, and somehow it just slipped off my radar screen. I’ll try to say more about them over time. I don’t just want to respond now without giving it some more thought. Thanks for taking the time. How do we balance risk-taking with an emphasis on outcomes and measuring success? — Unfortunately, we have lived in a world where we tend to reward ‘counts’ – number of articles published in journals, number of speaking engagements, number of clients (internal or external) served, courses taught or emails answered – even if we say we don’t rely on counts, we still do a fair amount, in reality. I like the idea of the award you mention because you would learn more about what people are trying to “do” – I don’t know of the relevant comparison with staff, but for faculty, to me, this is the huge benefit of having an annual summary memo written for you that is a reflection on the year, good or bad, success or failure.